I noticed our throughput isn't what I would expect on our wireless devices. We have a guest network as well as a corporate network and both of my test cases only yield about a 20-30 Mbps. With my corporate device I believe this is about the best I could expect, however I know my iPhone can do more. If I connect a laptop to our wired guest network I can achieve a greater throughput so I'm sure this is on my wireless side. Controller: Virtual on 10 GB backbone. I've just run a test on my AP3935-ROW for max. throughput (=settings that I'll never use in a real deployment) and get 230Mbps with my Surface 5 on the first try. 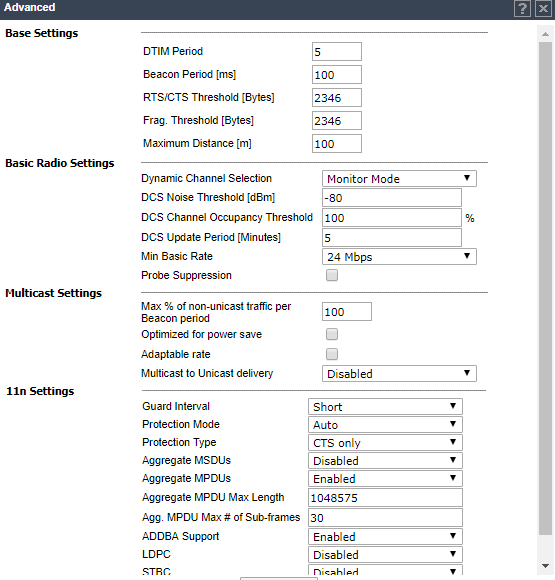 The settings that impact throughout the most is the channel width (max = 80MHz) and what the clients supports. 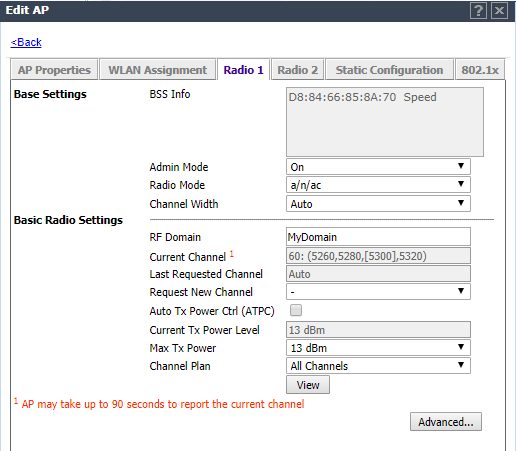 As you'd see below my AP is set for channel# 52,56,60,64. BTW, I use bridge@EWC only for guest solutions but never for the corporate SSIDs because the controller could be a bottleneck.